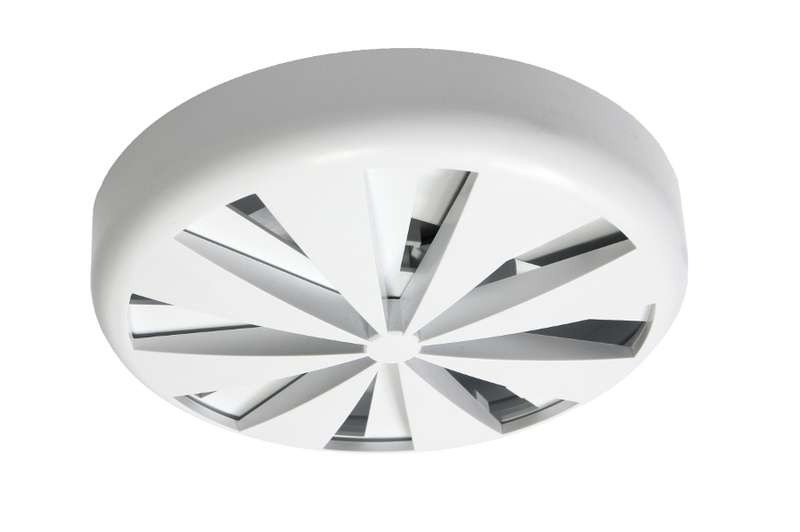 Glidevale's range of Fresh wall vents enable fresh air to be input into a building to ensure a healthy atmosphere and reduce the potential for condensation and mould. 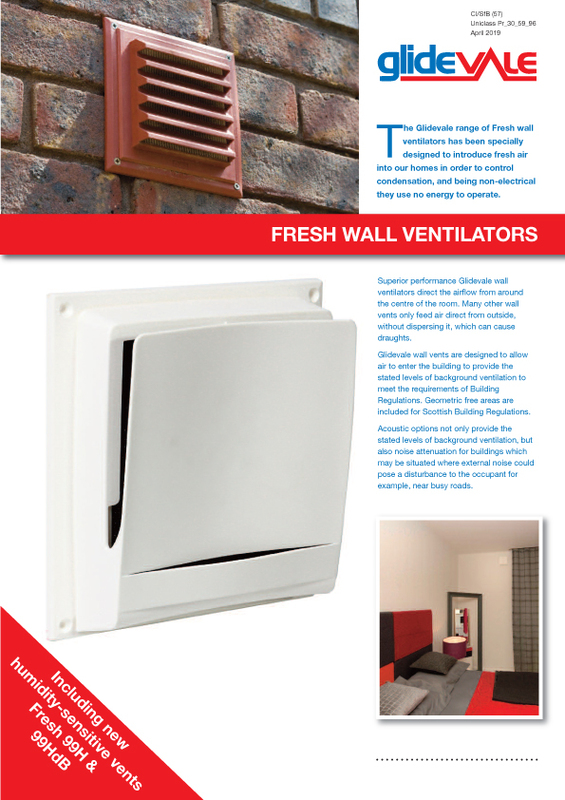 Wall vents are fitted through the wall and ducted to an outside grille. They are available with various manual control mechanisms. ● All types are non-electrical and use no energy to operate. 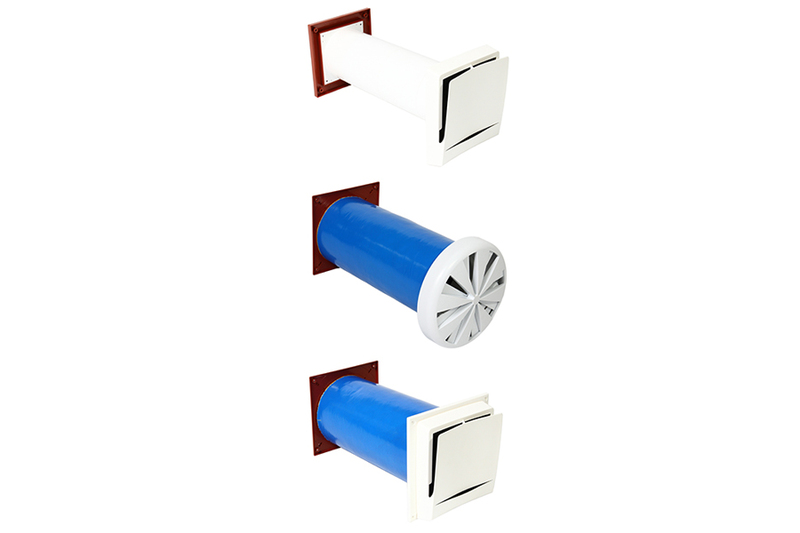 ● Vents direct the airflow from around the centre of the room to ventilate the room properly. 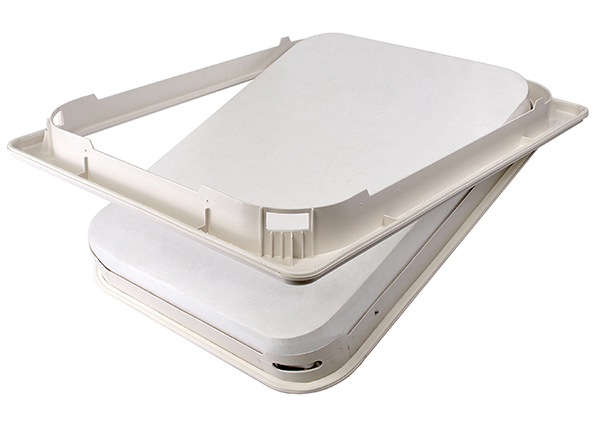 ● Acoustic wall vents are available with enhanced sound reduction properties of up to 50dB. 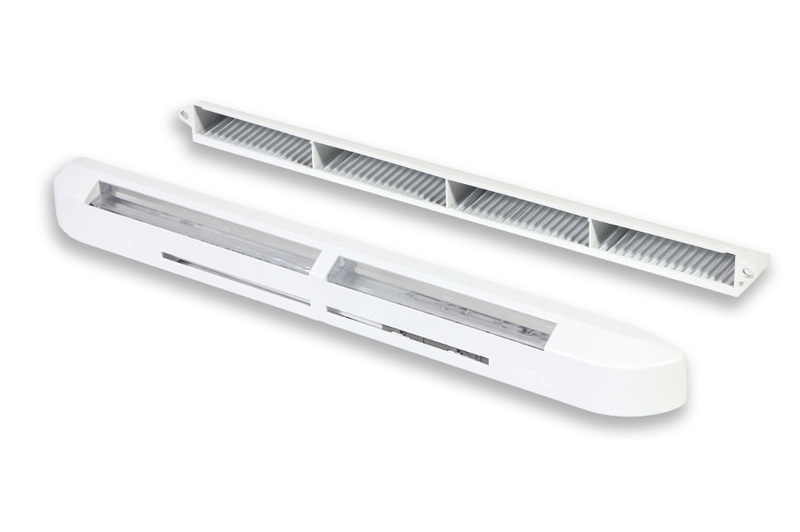 ● An external grille incorporates an integral fly screen. ● Made from recyclable ABS. ● Internal controller available in white as standard, and external grille in terracotta as standard.